Published in Business Development on 09/07/2017 by Harry Lew, Chief Content Writer. 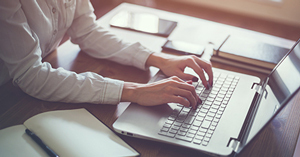 Do you use your blog to educate prospects and clients about insurance and financial planning? Do you post booklets or white papers on your website to attract visitors? Do you produce a podcast or post content on YouTube to connect with people who like their content in audio or video format? Then whether you know it or not, you’re a content marketer. Content marketing is a relatively new discipline that has swept across all industries over the past five to seven years. It’s a response to the growing number of consumers who like to research their purchases online before making decisions and who are turned off by traditional marketing techniques such as advertising and telemarketing. Today, tens of thousands of insurance and financial advisors use content marketing to attract prospects to their websites, to encourage them to download useful information from those sites, and to build long-term relationships that ultimately result in new business. Rather than blast out marketing pitches to indifferent prospects, they publish useful information on the Internet and let people find them (with help from social media, search engine optimization and other engagement techniques). Are you one of them? How do the experts define “content marketing?” According to the Content Marketing Institute, it’s “ a strategic marketing approach focused on creating and distributing valuable, relevant and consistent content to attract and retain a clearly defined audience—and, ultimately, to drive profitable customer action.” Related to this definition is a fundamental shift away from explicit, heavy-handed marketing messaging and toward implicit, subtle communications that foster client education and engagement. “We live in an information-driven age in which consumers crave knowledge (with their purchases),” says Ray Sclafani, president and founder of ClientWise, a financial advisor training and coaching company in Mount Kisco, New York. “The decision to buy goods or services is driven as much by a desire to gain insight as it is (by) the eventual outcome that results from using that product or service.” Sclafani adds that the implication for financial advisors of this shift is profound. Their ability to explain their products and services has become as important, if not more, than their ability to sell them. Content marketing gives them the tools and processes to explain and educate their way to the close. What are the fundamental elements of content marketing? The first is a professionally designed website. It must look contemporary, strongly integrate your brand and be mobile-phone friendly. More importantly, your website should be content rich. It should be your storehouse for information that answers the most common financial questions your customers have. Content can take many forms, but the most common are blogs, videos, whitepapers, e-books and articles. Many content marketers try to mix up their content. For example, they might put most of their effort into writing short articles and/or blog posts. But then for a select number of pressing client concerns, which link to multiple firm sales opportunities, they might create one or several longer form content pieces. Then they promote those assets on their websites in order to entice prospects to provide their information in exchange for the content. Post links to your content on Facebook, Twitter or LinkedIn. Include links in your outbound e-mails to prospects and clients. Republish select content pieces in local or regional publications. Make sure your content includes appropriate keywords so that Google can serve it up when prospects search for the same terms. But since many financial professionals are following this approach today, how do you elevate your game in order to stand out? Here are five approaches to consider. First, make sure you have a precisely defined target audience. “All the baby boomers in my town” is not an effective target audience definition. Instead, drill down to market segments that tend to have distinct financial needs. Example: “Baby boomers in my town who work in secondary or post-secondary education and who are within five to 10 years of retirement.” The reason this level of specificity is important is because without it, you will have difficulty writing (or commissioning) effective content. Second, adopt a “share what you know” philosophy. Many financial professionals worry about “giving away the store.” But content-driven agents and advisors realize that the better the education they put into the market via their sites (as well as their seminars), the more prospects they will attract and ultimately convert into clients. Therefore, as a general rule, don’t stop writing after you define a financial issue; continue to discuss potential solutions with enough detail to be truly helpful to your clients. And don’t worry about giving away too much. Even if you do, most people still want help with implementation. They will seek you out when they realize taking the next step is more complicated than they thought. Third, put a lot of effort into identifying what your prospects are worrying about financially. In fact, consider putting together several “personas” that represent your main targeted groups. A persona is a specific profile of the members of your audience in terms of their occupations, their ages, their interests, financial problems, etc. Having personas defined in writing will be highly useful as you attempt to come up with content ideas. Fourth, take the time to create a detailed content plan. This will link your firm’s target market definition and your value proposition with the content needs of your audience and the types of content you’d like to publish to meet those needs. Then determine the types of content your audience will appreciate most (blog post, article, paper, etc.) and how many pieces you’d like to publish, say, over the next six months or year. When the plan is complete, create action steps for each content asset and schedule them in your activity management system. And don’t worry if you’re not a good writer or don’t like to write. A cottage industry of financial writers has cropped up to serve people just like you. Just do some Google searches or find potential writers on freelancer websites such Guru.com and Upwork.com or LinkedIn groups such as the Financial Communications Society. Fifth, use content in several different ways to get more bang for the buck. View your content as an asset that grows in value the more it’s used. So if you write an article for your website, repurpose it in your newsletter; if you produce a mini-whitepaper, split it into an article series. By and large, you don’t want to invest time and money into content development without using the output multiple times and ways to augment your investment. Sixth, make sure your content is customer facing. Many financial professionals view their websites as online versions of their resumes—i.e., as opportunities to thump their chests about how great they are. As with many conventional marketing methods, consumers have lost patience with such websites. They want their insurance agents and financial advisors to provide helpful guidance and resources on their sites, not personal puffery. The more you concentrate on creating information that solves real prospect problems, while creating a bridge to financial sales, the more successful your content marketing—and sales results—will be. Finally, successful content marketing requires a long-term vision and commitment. You may not see results for weeks or months or even longer. That’s because it takes a consistent effort to begin making an impact. But once you start to gain traction, the results will build exponentially. In many cases, agents have found that a wholehearted investment in content marketing can, in due time, become the most important cog in their marketing machine and rocket fuel for sales. Give it a try and you may find it works for you.